As corporations increasingly focus on the critical role of supply chain management for commercial success, the industry is facing a period of change that could see the death of multiple warehouses. 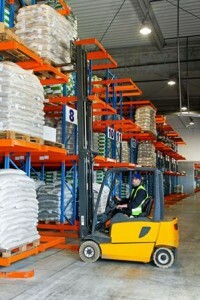 Products generally incur costs each time they are handled or stored. Change managers are therefore advocating the elimination of excessive storage, reduced waste and time compression across the supply chain – shortening the total time it takes a product to flow from one end of the supply chain to the other, where it is delivered to the customer. Consultancies such as Sydney-based Logistics Bureau start with the assumption that in the perfect world, you do not need a warehouse. Director Maurice Sinclair justifies this by saying that warehouses add cost and not value. Each time product is stored in a warehouse, it takes longer to get to the customer and incurs more handling and storage costs. “Costs are added each time goods are immobile in the supply chain,” he says. This scenario, while possible, is sometimes difficult to achieve. “Each time there is an increase in variation of demand, the risk of a service failure is greater and hence the need for stock to buffer that risk is required,” says Sinclair. Several multinational companies are globalising their operations by having central administration and information systems as well as centralised logistics operations to cater for multiple countries and multiple global customers.